I repost the following article because Lyme/MSIDS patients have chronically high inflammation within the body and many struggle with MCAS as well. Please read the following article and consider your own symptoms. Discuss these with your doctor. What is Mast Cell Disease and MCAS? Mast cell activation is common and helps combat threats to our health. However, when a dysregulated immune system overproduces mast cells or when mast cell activation is out of proportion to the perceived internal or external threat, it can compromise our health. Symptoms of MCAS can wax and wane and often various symptoms start in early childhood, although people generally do not get diagnosed for decades after symptoms appear. The effects of mast cell dysregulation can cause a plethora of diverse symptoms, depending on where the mast cells are activated in the body. When mast cells overeact to a benign substance as if it were a foreign antigen posing a serious threat, symptoms can be life threatening like when a person has an anaphylactic reaction to peanuts.24 Mast cell over-activation and release of large amounts of histamine in the body can be unpredictable, so people with MCAS are at risk of reacting to different foods, alcohol or medications at any time, leaving them uncertain as to when they might have another reaction to something they previously were not aware was a trigger for mast cell activation.25 Many people with MCAS carry an epi-pen with them in case of anaphylaxis. Diagnosing mast cell disease is difficult and involves blood and urine testing and, less frequently, skin or bone marrow biopsy.26 Most medical doctors in general practice are not well informed about MCAS, while doctors specializing in functional medicine tend to be more familiar with symptoms. Functional medicine focuses on a personalized, integrative approach to investigating root causes of health problems by analyzing the unique genetic, epigenetic, biochemical, environmental and lifestyle factors that affect an individual’s immune function and influence the development of complex chronic diseases. People with histamine intolerance lack sufficient levels of Diame oxidase (DAO), a gut enxyme, and histamine N-methyltransferase (HNMT), a liver enzyme, which break down and detoxify histamine in foods, medications or alcohol. When these enzymes fail to do their job, high levels of histamine circulate in the blood and cause histamine intoxication.36 Eating histamine-rich foods, drinking alcohol or taking prescription drugs that release histamine and or inhibit DAO or HNMT enzyme activity can cause high histamine levels and symptoms like diarrhea, headache, sinus congestion, heart palpitations, itching and flushing, low blood pressure and many other symptoms. What Are Co-Factors for Developing MCAS? Is Mast Cell Disease a Risk Factor for Vaccine Reactions? Mast cells play an important part in keeping the body healthy, but when they malfunction, can cause system wide chronic inflammation in the body that interferes with quality of life or can even cause death. Although for the past several decades, most pediatricians and public health officials have rejected the possibility of a relationship between vaccination and the development of allergic and autoimmune disorders,76 the apparent increase in mast cell dysregulation in highly vaccinated populations deserves more in-depth investigation. Does repeated atypical manipulation of the immune system with multiple vaccines in early life trigger MCAS or development of histamine intolerance in genetically or epigenetically predisposed individuals? Are individuals with undiagnosed MCAS or histamine intolerance at greater risk for suffering vaccine reactions, particularly if they have a personal or family history of allergy or autoimmunity? There is urgent need for more basic science research into how and why MCAS and histamine intolerance occurs and whether vaccination is a co-factor in increasing individual risks for mast cell dysregulation. 1 Cáceres M. Should We Be Concerned About Vaccines Made in China? The Vaccine Reaction Apr. 3, 2016. 2 Buckley C. China’s Vaccine Scandal Threatens Public Faith in Immunizations? The New York Times Apr. 18, 2016. 3 Qiu J, Hu H, Zhou S, Liu Q. Vaccine scandal and crisis in public confidence in China. The Lancet 387(10036); 2382 June 11, 2016. 4 Xinhua China sentences man for illegal vaccine trade. Xinhuanet Feb. 20, 2018. 5 TVR Staff. DPT Vaccines Recalled in China. The Vaccine Reaction Nov. 30, 2017. 6 Yiwen C. China’s FDA Says 650,000 Vaccines Failed National Standards. Sixth Tone Nov. 6, 2017. 7 Hernández JC. In China, Vaccine Scandal Infuriates Parents and Tests Government. The New York Times July 23, 2018. 8 Bloomberg New and Associated Press. Bio-tech execs taken away by Chinese police after 250,000 doses of defective vaccine sold. National Post July 24, 2018. 9 Lo K. Changsheng Bio-tech, the vaccine maker behind China’s latest public health scare. South China Morning Post July 24, 2018. 10 Liu A. Chinese rabies vaccine maker ordered to stop production over forged data. Fierce Pharma July 17, 2018. 11 Meixler E. Outrage in China Over Latest Vaccine Safety Scandal. TIME July 23, 2018. 12 Jourdan A, Ruwitch J. China police probe vaccine maker after scandal sparks fury. Reuters July 22, 2018. 13 Strong treatment needed to remedy vaccine system: China Daily editorial. China Daily July 23, 2018. 14 Palmer E. China drug exports to U.S. rise but companies struggle with quality. Fierce Pharma Aug. 30, 2016. 15 Marsteller D. As drug making goes global, oversight found lacking. USA Today Oct. 21, 2012. Many Lyme/MSIDS patients deal with Interstitial Cystitis (IC). Recently, Dr. Rawls wrote a great article on the topic found here: https://madisonarealymesupportgroup.com/2017/08/26/interstitial-cystitis-and-lyme-disease/ Dr. Rawls believes that IC could be triggered by Lyme or Mycoplasma and that herbs could be of great benefit as it hasn’t responded well to antibiotics. The question of whether myofascial physical therapy (MPT) is an effective treatment for IC is a particularly relevant question for naturopathic doctors, many of whom are trained in and practice a variety of hands-on myofascial therapies. When choosing from among these second-line treatments, naturopathic philosophy would suggest that manual physical therapy would be more effective than conventional treatments in treating the cause of the condition, particularly in cases where somatic abnormalities of the pelvic floor are contributing to the syndrome. The goal of this literature review is to investigate the following clinical question: In female patients with a diagnosis of interstitial cystitis, does the use of myofascial physical therapy decrease symptoms of urinary urgency, urinary frequency, and pelvic pain when compared with conventional treatments? A search of PubMed and Embase was performed, including combinations of the following terms (designated medical subject headings and other relevant terms): physiotherapy, interstitial cystitis, therapeutics, complementary therapies, physical therapy modalities, alternative medicine, massage, pelvic floor rehabilitation, electrostimulation, and physiatrics. The original searches were done without limiting them to randomized controlled trials (RCTs), in order to accurately assess the current state of the research and identify possible directions for other searches. Combinations of the terms interstitial cystitis, physical therapy modalities, therapeutics, and massage revealed studies that were the most relevant to our clinical question. In the final analysis, only English language RCTs conducted within the last 10 years that were available as free, full-text articles through Bastyr University were considered for review. Complete detail of searches and results is shown in Table 1 (Please see link above for Table 1). There were 3 English-language RCTs that fulfilled our final search criteria. Of note, there were no studies that directly compared MPT with conventional drug treatments for IC. One particular study was ultimately chosen for review because it was most relevant to the clinical question being asked and to the scenarios which we would be likely to encounter in naturopathic practice.4 This study was performed solely on women (as opposed to other studies which included both women and men with painful bladder syndrome), who had not experienced relief with at least 1 course of conventional first-line management for IC. This is relevant to the fact that almost all patients experiencing IC symptoms are female. Additionally, it is consistent with how many patients seek out naturopathic medicine after experiencing a lack of success with conventional treatments. In a primary care practice, adult women may present with IC within a wide range of ages. This clinical reality is reflected in the study, which included women aged 18-77. Finally, the outcomes measured in this study not only included specific frequency of symptoms, but also a global, subjective measure of improvement as determined by the patient. This contributed to our choice of study, since including this outcome may better reflect changes in quality of life post-treatment than symptom-based questionnaires alone. There were 2 arms of the study: MPT and GTM. MPT is a manipulation technique that is both internal and external to the pelvic floor (focusing specifically on abdominal, pelvic, and hip girdle muscles and other tissue). GTM, in contrast, is a full-body therapeutic massage. Those patients in the GTM treatment group had a series of 10 one-hour massages. The inclusion criteria included clinical diagnosis of IC/PBS, average recorded ratings for bladder pain, frequency, and urgency of at least 3/10, and present for a minimum of 3 months and a maximum of 3 years. Furthermore, pelvic floor tenderness on vaginal examination, identified by the study’s physician and confirmed by a PT, was required for study inclusion. There were no significant differences in demographics between the MPT and the GTM groups at baseline. Demographic factors assessed were age, ethnicity, education level, employment status, and annual family income; demographic factors were listed in the feasibility study cited in this article.5 Of note, no other specific prognostic factors relating to their clinical diagnosis were assessed, including smoking. Most of the patients were Caucasian, and the exclusion of women without pelvic pain on vaginal examination eliminated a significant number of IC sufferers for whom this treatment might be beneficial. For this reason, the results are difficult to generalize to the population at large. Patient assignment to treatment groups was randomized. Physical examiners and nurses collecting data were blinded to treatment assignment, but there was no indication of whether investigators were blinded from the process of randomization. Outcome assessors and all study coordinators were also blinded to the group allocation. Randomization process occurred via a pre-specified sequence distributed in a series of sealed envelopes to receive MPT or GTM. Patients were analyzed in the groups to which they were randomized; there was no crossover between the groups. Even though the patients were not told outright what group they were assigned to, given the differences between MPT and GTM, it is likely that they were aware of the group to which they were assigned. Outcomes were measured with the 7-point Global Response Assessment (GRA) scale, the O’Leary Sant IC Symptom and Problem Index, a 24-hour urinary voiding diary, the 2000 Female Sexual Functioning Index, and the 12-Item Short-Form Health Survey. Of the 81 patients recruited, 78 (96%) were able to complete the full 12-week duration of the study (including initial follow-up at the completion of treatment phase at 12 weeks, and additional follow-up for 3 months after the 12-week follow-up). Of these 78 participants, 72 (92%) completed at least 7 of the 10 treatments that were assigned to them during the 12 weeks: In the MPT group 55% completed all 10 treatments, and in the GTM group 38% of the GTM group finished 100% of their 10 treatments. The 3 who withdrew from the study had received <5 treatments. During the follow-up phase of the study, the retention rate was smaller, with 77% of the MPT, and 67% of the GTM, participating. Because many of the study’s subjects did not participate in the final follow-up session, it is difficult to draw conclusions about durability of treatment. The primary outcome of this study was that 59% of the MPT group, compared to 26% in the GTM group, reported moderate or marked improvement (p=0.0012) on the GRA scale. Within the GTM group, 43% reported no change in symptoms, compared to only 18% of the MPT group reporting no change. Both treatment groups reported improved symptoms via the O’Leary Sant IC Symptom and Problem Index of pain, urgency, frequency; there were also reported improvements in quality of life as well. No statistical significance was noted among these secondary symptom outcomes of the study. The Mantel-Haenszel test was employed to take into account the need to control variability at the 11 sites. The Number-Needed-to-Treat to determine 30% effect was 88, and only 81 were recruited; however, this study was still significantly powered. Adverse events (AE) were also reported. Bladder or pelvic pain was the most commonly reported AE, reported in 14% of the participants. There was no statistical significance in the number of AEs reported by each treatment group. The authors conjectured that the AEs reported, especially that of pain, in part had to do with the intermittent nature of the disorder and was not necessarily related to treatment intervention. Other AEs reported were infection (reported by 12% of the patients), constitutional symptoms like fever (11%), and digestive symptoms (10%). The age range of subjects in the study (18-77) and the duration of their symptoms (3 months to 3 years) are similar to patients who would potentially be seen in naturopathic medical clinics. It is feasible for naturopathic physicians to determine pelvic floor tenderness during a vaginal exam and to discern suitable candidates for this treatment option. It would also be feasible to refer patients to physical therapists for co-management. However, determining the optimal elements of an effective MPT regimen and finding PTs who can deliver effective pelvic floor MPT might be an obstacle. The study reviewed here answered the question of whether the use of MPT can improve symptoms associated with IC, including but not limited to urinary urgency, urinary frequency, and pelvic pain. However, the paper did not compare the effects of MPT to conventional treatments, such as food-trigger avoidance, bladder retraining methods, or pain medications. In fact, the study did not disclose whether subjects were concurrently using any other treatment modalities while participating in the study, potentially biasing the results. Further questions raised by the literature review process and the results of this paper include whether the results of the study can be generalized to the IC patient population at large. For example, it is questionable whether MPT would also be beneficial to patients who do not demonstrate pelvic tenderness on examination. This also points to the currently inadequate understanding we have about the relationship between somatic abnormalities and IC. Another aspect of whether the study could be generalizable centers around the fact that study participants were primarily Caucasian. A future study examining the durability of subjects’ improvement with this therapy would make the results more clinically meaningful. Due to the loss to follow-up at 3 months post-treatment, the question of how long the beneficial effects of MPT last, remains. It would be very exciting, indeed, to investigate whether the effects are long-lasting and could potentially be a cure of sorts to the unending suffering experienced by patients with interstitial cystitis. Finally, developing an effective training program for physical therapists and other providers would be critical so that this therapy would become accessible to a large number of patients. The evidence from the study reveals that MTP is indeed beneficial for improving symptoms of IC, suggesting that physical therapy is an important modality to consider in a treatment plan for a patient suffering from the disease. It adds credibility to the idea that there are specific pelvic somatic abnormalities involved with IC, as the study showed the treatment effect was not merely due to general therapeutic touch. The process of finding a robust paper to review to answer our question yielded only 1 study that fit the aforementioned criteria. This points to the lack of research available on myofascial physical therapies to treat IC. However, even with the limited evidence, considering the strength of the paper reviewed and the fact that no serious adverse events were reported, MPT can be considered a safe and potentially effective therapy for IC that could be recommended and provided to patients. The question as to whether it is more effective than other first- and second-line treatments still remains and requires further research. Early in my career practicing Ob/Gyn, I became aware of a subset of patients who suffered from a condition called interstitial cystitis (IC), sometimes referred to as painful bladder syndrome. 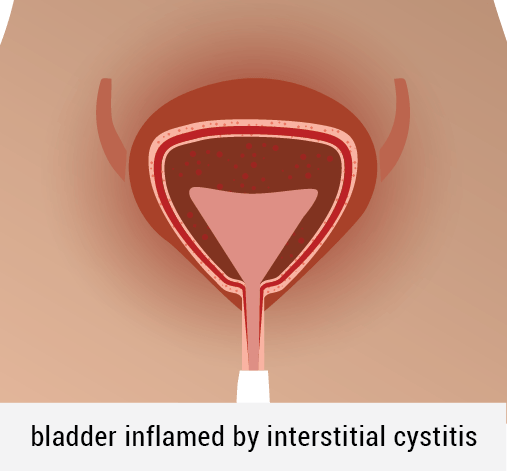 People with interstitial cystitis feel like they have a bladder infection that never goes away. It doesn’t respond to antibiotics, and urine cultures are typically negative. Because these patients are often treated repeatedly with antibiotics, however, they frequently end up having chronic urinary tract infections with antibiotic-resistant bacteria induced by taking antibiotics. The condition occurs more often in women than men at a 5:1 ratio. Interstitial cystitis is considered idiopathic — cause unknown. It is notoriously difficult to treat. I developed a special compassion for these people because no other physicians wanted to see them. For years, I searched for solutions, but my efforts were focused primarily on relieving symptoms — gains were minimal and short-lasting. Interestingly, with my professional interests now focused on chronic Lyme disease, I’m starting to hear from chronic Lyme patients who suffer from bladder pain and symptoms consistent with IC. I’m also hearing from men with chronic Lyme who have bladder symptoms and chronic prostatitis (chronic infection of the prostate gland). And, interestingly, remembering back to patients from the past, sufferers of IC frequently had chronic pain in other areas of the body. Many of them also had fatigue and symptoms common to fibromyalgia and chronic Lyme disease. This makes me believe there has to be a microbial connection. Borrelia, the microbe commonly associated with Lyme disease, could be a culprit. However, I would lay odds on mycoplasma and a closely related bacterium called ureaplasma. About 75% of chronic Lyme disease sufferers have been found to harbor at least one species of mycoplasma. It fits. Mycoplasma and ureaplasma are the smallest of all bacteria. They are obligate intracellular microbes — which means they must live inside cells of a host to survive. They typically infect linings of the body — linings of lungs, intestines, joints, and the urinary tract. Different species of mycoplasma and ureaplasma prefer certain areas of the body, but any species of these microbes can be found in different places the body. The most common species found in the urinary and reproductive tract are Ureaplasma urealyticum and Mycoplasma hominis. These microbes typically spread sexually, but they can be acquired by other routes. Mycoplasma pneumoniae, a frequent cause of respiratory infections, can also be found in the urinary tract. Mycoplasma and ureaplasma are notoriously difficult to culture. Twenty-five years ago, when I first started practicing medicine, routine testing for mycoplasma and ureaplasma was not available. That’s starting to change — DNA testing has become more reliable, and providers are testing for these microbes more routinely. And they are finding them — not just in symptomatic patients, but also commonly in people with no symptoms. That makes things complicated — mycoplasma and ureaplasma are commonly found in the urinary tracts of people who don’t have symptoms. It turns out that it’s actually a very common microbe. Some experts have even defined it as a normal flora. This is why many experts discount the connection between mycoplasma/ureaplasma and bladder problems. It presents the same kind of conundrum found in chronic Lyme disease — why do some people with these microbes develop symptoms and others do not? What I didn’t know 25 years ago that I learned from understanding chronic Lyme disease is that the immune system is the key. If people have robust immune function, they can harbor these microbes and not have symptoms. People become chronically ill only when a perfect storm of factors comes together to disrupt immune function, which allows the microbes to flourish. Therefore the solution must go beyond killing or suppressing microbes — you must restore immune system functions to optimal levels to overcome this illness. Mycoplasma and ureaplasma respond poorly to synthetic antibiotics for the same reason that other microbes associated with chronic Lyme disease respond poorly to antibiotics — they live inside cells, grow very slowly, and occur in low concentrations in tissues. In addition, mycoplasma and ureaplasma do not have a typical cell wall and other characteristics common to bacteria. To control them, you must suppress them for a very long time and boost immune function at the same time. If you try to do it with synthetic antibiotics, normal flora are disrupted long before the targeted microbes are eradicated. Herbs provide a more practical solution. 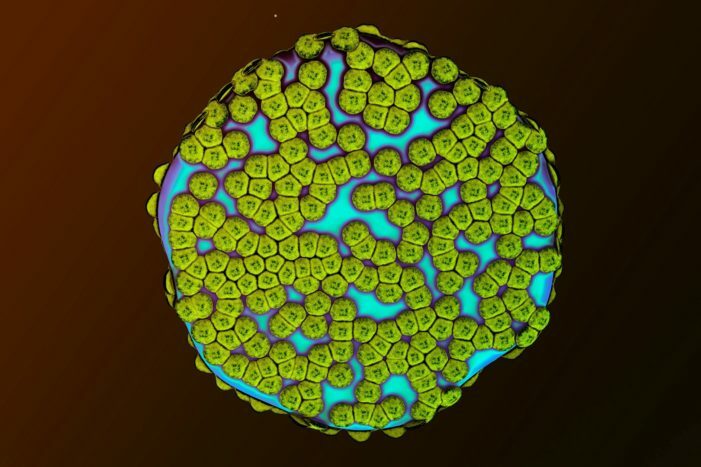 Herbs suppress these types of microbes, but do not disrupt normal flora, so they can be used for extended periods of time (months to years) without concern. Herbs also reduce inflammation and boost immune functions — especially natural killer cells important for eliminating cells infected with microbes. My favorite herb for mycoplasma and ureaplasma in the urinary tract is anamu (Physalis angulata) because it is concentrated in the intestines and urinary tract. The dose I recommend is 1200 mg (2 – 600 mg capsules) twice daily. It is well tolerated with only noticeable side effect being a mild odor to urine and stool. The herb comes from South America, but is readily available from many manufacturers online. Mullaca (Physalis angulata), another South American herb, is also good for mycoplasma species. It can be taken as a complement to amamu. It can be found online as a loose powder (add to smoothies or make your own capsules) or tincture, as well. Stephen Buhner, in his book defining therapy for mycoplasma, recommends Chinese skullcap, Isatis, Houttuynia, Sida acuta, and Cordyceps for a primary herbal protocol. I consider Cordyceps and Chinese skullcap to be part of a core protocol for chronic Lyme in general. Individuals are reporting symptomatic relief of IC symptoms with use of essential oils rubbed into the pubic area several times a day. I have been recommending a formula of tea tree oil and frankincense oil mixed 1:4 in a carrier oil, such as jojoba or grapeseed oil. Recently, I’ve also been recommending adding cannabidiol oil (CBD) from hemp (get a product with 1500 mg CBD per fluid oz.). So far, people are reporting positive benefits. The recovery protocol for overcoming mycoplasma and ureaplasma in the urinary tract mirrors recovery from chronic Lyme disease or any other condition associated with chronic immune dysfunction. Focusing on a specific microbe alone is not enough; immune system function must be restored. Primary antimicrobial herbs and immune modulating herbs, complemented by cultivation of a healing environment within the body, are your best allies in the fight against interstitial cystitis and Lyme disease. Dr. Rawls is a physician who overcame Lyme disease through natural herbal therapy. You can learn more about Lyme disease and recovery in Dr. Rawls’ new best selling book, Unlocking Lyme. You can also learn about Dr. Rawls’ personal journey in overcoming Lyme disease and fibromyalgia in his popular blog post, My Chronic Lyme Journey. Wonderful article. Thank you Dr. Rawls for explaining a particularly troubling issue that Lyme/MSIDS patients can suffer from. “….90% of evaluated ALS patients had Mycoplasma. 100% of ALS patients with Gulf War Syndrome had Mycoplasma and nearly all of those were specifically the weaponized M. fermentans incognitus. The evidence from the study reveals that MTP (Myofascial Therapy) is indeed beneficial for improving symptoms of IC, suggesting that physical therapy is an important modality to consider in a treatment plan for a patient suffering from the disease. It adds credibility to the idea that there are specific pelvic somatic abnormalities involved with IC, as the study showed the treatment effect was not merely due to general therapeutic touch.